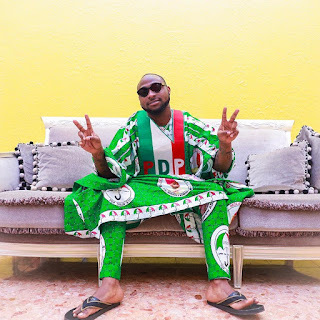 Davido rocks complete PDP Ankara Agbada for Uncle's Rally in Osun.. The Music star has been nothing short of a model Nephew. Using his celebrity status to gather the crowd and gain more momentum for his uncle Senator Adeleke who is looking to become the Governor of Osun state come 22nd September. 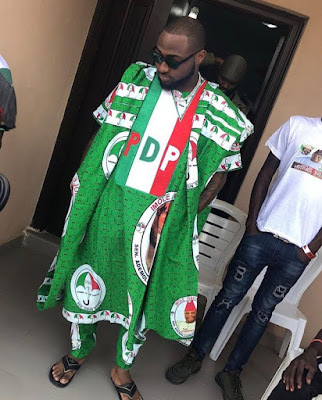 He stepped out for a rally today rocking political party PDP's customized party Ankara..